Clark Athletic Association, also known as East Newark Clark A.A., was a U.S. soccer team sponsored by the Clark Mile End Spool Cotton Company. It spent two seasons in the National Association Football League where it was co-champion in 1909. Clark A.A. was established in May 1906 by employees of the Clark Mile End Spool Cotton Company and Clark FNT. The team first took up baseball. After a successful baseball season, Clark A.A., managed by John C. Savage, began playing the soccer season. The team was built around a core of players from the champion West Hudson A.A.. Its first game was on September 3, 1906, a 5-0 win against the Bronx Rangers. The team also took part in the American Cup. While the company factory was located in Newark, on the west bank of the Passaic River, the team played at Clark Field located on the east side of the river, an area known as East Newark. 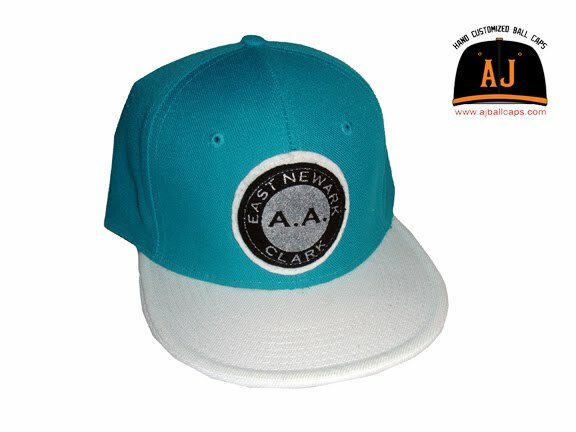 This gave rise to the team’s alternate name, the East Newark Clark A.A.
Fitted Cap of the Month!!! Cap featured on Stricty Fitteds Cap of the Month! I was wondering when one of my pieces would make it.